WENCHANG, Hainan, April 20 (Xinhua) -- China on Thursday launched its first cargo spacecraft, Tianzhou-1, into space, a crucial step for the country in building a space station by approximately 2022. 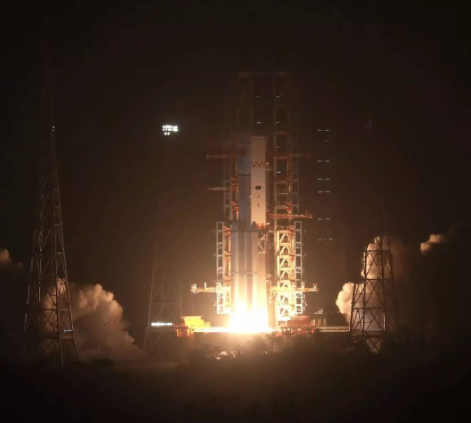 Lifted by a Long March-7 Y2 carrier rocket, Tianzhou-1 roared into the air from the Wenchang Space Launch Center in south China's Hainan Province Thursday evening. In space, the cargo ship will dock with the orbiting Tiangong-2 space lab, provide fuel and other supplies, and conduct space experiments before falling back to Earth. "The Tianzhou-1 mission includes the breakthrough of in-orbit refueling and other key technologies needed to build a space station, laying a foundation for future space station operations," said Bai Mingsheng, chief designer of the cargo ship. The cargo ship is 10.6 meters long and has a maximum diameter of 3.35 meters. Its maximum takeoff weight is 13.5 tonnes, enabling it to carry over 6 tonnes of supplies.